Mitt Romney, who was for the auto bailout before he was against it, is back to being for it. And to think they say the man has no principles. Not exactly. Since the fall of 2008, when Chrysler and General Motors first sought the federal government’s assistance, Romney’s rhetoric has shifted back and forth. Typically the statements include a dash of ambiguity, making it possible for Romney or his advisers to parse statements after the fact in ways that are, at the moment, politically advantageous. But the implications are always clear and, in retrospect, they clearly contradict one another. Romney’s first major public statement on the issue was a New York Times op-ed, in which he suggested a “structured bankruptcy” similar to what Obama eventually pursued – which, I assume, is what Fehrnstrom has in mind. But the op-ed didn’t specify what role the federal government would play. Once the Republican primaries got underway, however, Romney started attacking the Obama Administration, saying it was wrong to put taxpayer dollars at risk. It would have been best not to have had the president and government put their hands on the bankruptcy process. ... Bailouts are not the answer. 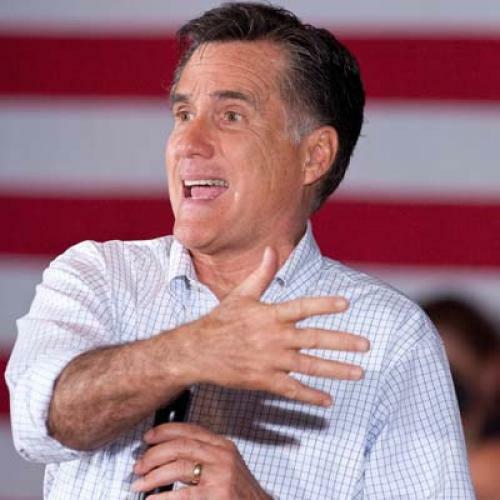 Then, a few months ago, Romney began to backtrack, as the impending Michigan primaries put the issue in the national spotlight. : Criticizing the rescue but on more specific grounds, like the treatment of autoworker unions, while suggesting that Romney, as president, would never have let the companies go bankrupt. Now Romney seems to be backtracking all the way, claiming (through his top campaign surrogate) the Obama strategy was really his all along. Again, all of the statements from Romney and his advisers, including this latest from Fehrnstrom, are sufficiently vague so that it's impossible to say, with 100 percent certainty, what he meant. But, as far as I know, Romney has consistently opposed Obama’s decision to loan GM and Chrysler money directly from the government, putting taxpayer dollars at risk. And those loans are precisely what allowed the companies to survive, according to most experts, because the private sector was in no position to make those loans in late 2008 or early 2009.
romney 1774: "anyone else think its time we stop being british subjects?" romney was in the colts draft room the day they got peyton manning: "gentlemen, i just feel it in my gut. romney: "yeah, stan, what if we make the lead character a teenager, and have him bitten by something like... a spider? romney: "sorry to interrupt this gathering of cavemen, but have you fellows considered 'fire'? romney: "bill, this stuff is good... but have you tried writing it in iambic pentameter?" Good stuff. By the way, Fehrnstrom is the subject of another magisterial political profile by my former colleague Jason Zengerle, writing in GQ. It’s well worth your time.